Missouri - Fruit Beer - 4.0% ABV<hr>A crisp, refreshing light lager infused with real exotic fruit. Infusions is perfectly balanced, with no artificial sweeteners and a clean finish. Big stories call for a big Daddy. With its 8.0% ABV, Natty Daddy is a big, bold and cold handful of fun for any story. Lager brewed with Natural Light’s all-natural ingredients. Brewed with: water, barley malt, cereal grains, hops and yeast. 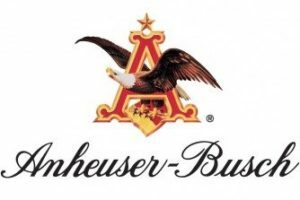 Anheuser-Busch’s exclusive ice-brewing process takes the beer to a temperature below freezing, which leads to the formation of ice crystals in the finishing process that gives Bud Ice its rich, smooth taste. Introducing an all-new flavor just in time for summer. 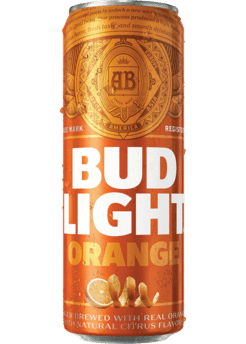 Bud Light Orange, America’s Favorite light lager now brewed with real orange peels. You can taste the citrusy goodness. Available for a limited time only this summer! O’Doul’s Amber has a rich, slightly sweet taste with flavorful hop finish. The savory combination of Bud Light and the sweet richness of a ripe Mango. Best served over ice and garnished with Lime. We hope you enjoy this savory combination! Redbridge is made from sorghum, a safe grain for those allergic to wheat or gluten, and no blending or mixing of the ingredients takes place in order to preserve its purity. We then apply the true art of brewing – from the brewhouse process through fermentation and aging – to give Redbridge its hand crafted quality and specialty beer taste. A wonderfully blended and balanced American-style light lager, Natural Light is the ultimate value beer. 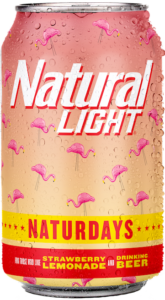 Natural Light’s longer brewing process produces a lighter body, fewer calories and an easy-drinking character – a satisfying refreshment for a satisfying value. Natural Ice is The Best Ice Beer for your Buck. 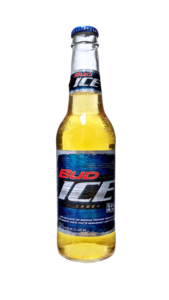 At 5.9% ABV, Natural Ice is sure to jump start your night with a signature refreshing, smooth taste and clean finish only Natural Ice can deliver. With a slightly sweeter taste, higher alcohol by volume (6%) and signature cobalt blue glass bottle, Bud Light Platinum provides beer drinkers an upscale light beer option as a companion to their social agenda. Select from Budweiser has the full beer flavor you love, but with the calories and refreshment of a light beer. It’s the light beer for people who love beer. With its selective ingredients and distinctive brewing process, Budweiser Select delivers a crisp taste that finishes clean with only 3.1 grams of carbohydrates and 99 calories. Select 55 is a smooth, refreshing light golden lager with the crisp, clean finish of Budweiser SELECT. It is brewed with a unique recipe of caramel malts and a subtle blend of imported and domestic hopping. At 55 calories and 1.9g carbs, it is the lightest beer in the world! Brewed using 100-percent malt—including dark-roasted black and caramel malts and all-imported hops—Michelob AmberBock has a unique, rich amber color and smooth, full-bodied taste. Smoothness, deep-dark color and a roasted malt taste that finishes clean are the hallmarks of this distinctive brew. Brewed using 100-percent malt—including dark-roasted black and caramel malts and all-imported hops—Michelob AmberBock has a unique, rich amber color and smooth, full-bodied taste. 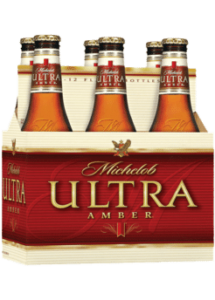 Michelob ULTRA Amber is the perfectly balanced light beer. Featuring a complex, malty, and beautifully rich taste but with only 95 calories and 3.2 carbs, Michelob ULTRA Amber is light and refreshing without sacrificing flavor. Budweiser Chelada with Clamato is a savory new spin on a classic. With the crisp smooth taste of an American Lager, the Rich spicy flavor of Clamato and a hint of lime, Chelada is perfect for almost any occasion. It pairs well with Latino dishes like ceviche, enchiladas and tamales. Also try the Picante flavor for an extra kick! 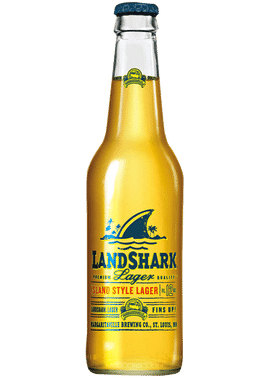 Fully brewed with finest natural ingredients, including a blend of premium American hops, fine barley malt, cereal grains, and pure water. After full fermentation and maturation, the alcohol is gently removed to preserve the quality of the beer.